What everyone wants... 3BR 2BA in a peaceful setting on a lake! 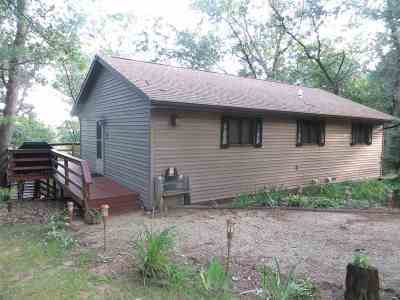 Full-time or getaway spot with room for entertaining, beautiful view & large lot all just 10 min from I-39. Well-maintained home is clean as a whistle. Easy-care vinyl siding. Kitchen, living and dining are open concept for easy conversation. Fully finished walk-out basement has wet bar and fridge plus electric fireplace to stay cozy even on a cool, rainy weekend. Grill out with family and friends on your wraparound deck. Walking path down past beautiful perennials to kayak, canoe, paddle board, make s'mores or swim off level sand beach.